It’s been a busy period for AGS – Aqua Garage Services, with some challenging work along the way. As always, AGS go the extra mile for our customers. Aqua Garage Services in Eastney, Portsmouth, cover the Hampshire area for all types of MOT work and we can arrange an MOT test on your behalf. MOT repairs and maintenance include mechanical repairs, body & chassis repairs which require fabrication and welding, brakes, wheels, tyres, electrical repairs & battery replacement, and diagnostics. Landrover Discovery MOT Failure: Fuel Leak. This Landrover Discovery failed it’s MOT test on a bad fuel leak, with potentially dangerous consequences. The issue was traced back to the fuel pressure valve – which was decidedly second hand and leaking fuel quite generously. 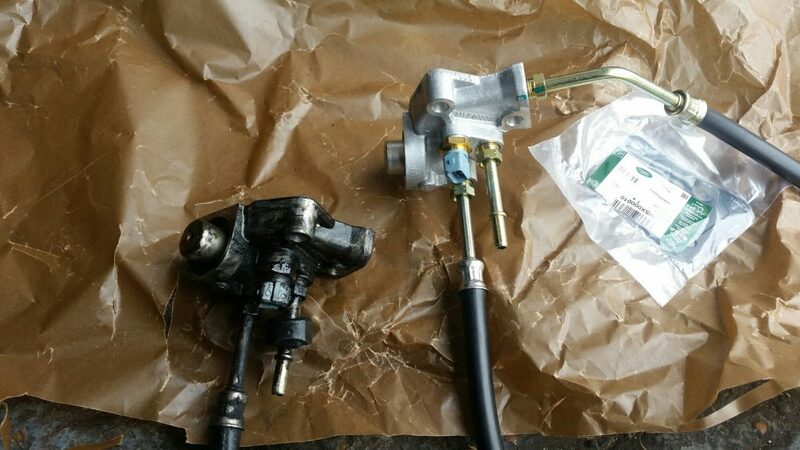 A genuine replacement Discovery fuel pressure valve was sourced and fitted. The vehicles subsequently passed it’s MOT with flying colours. AGS has a Renault Megane booked in for an MOT. 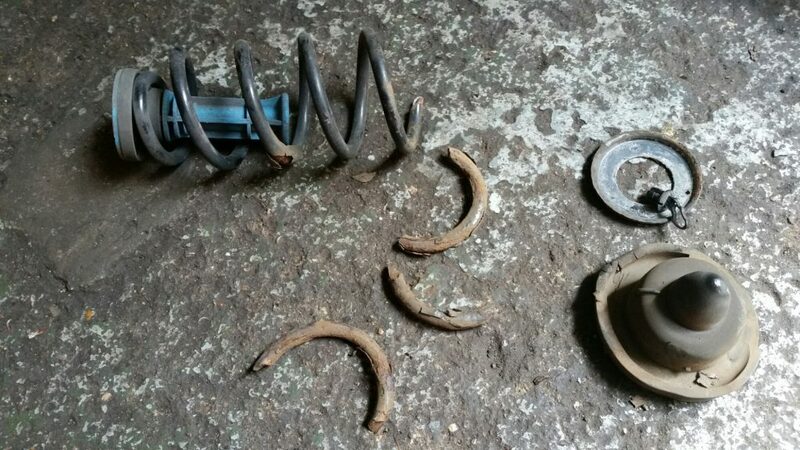 The resulting MOT failure on this Renault Megane was due to the rear coil springs – which had rusted through and eventually broken under load. Once we had removed the coil springs it revealed how bad they actually were. New replacement coil springs were sourced and fitted and the car passed it’s MOT. Sometimes parts aren’t available for required repairs and we have to improvise. 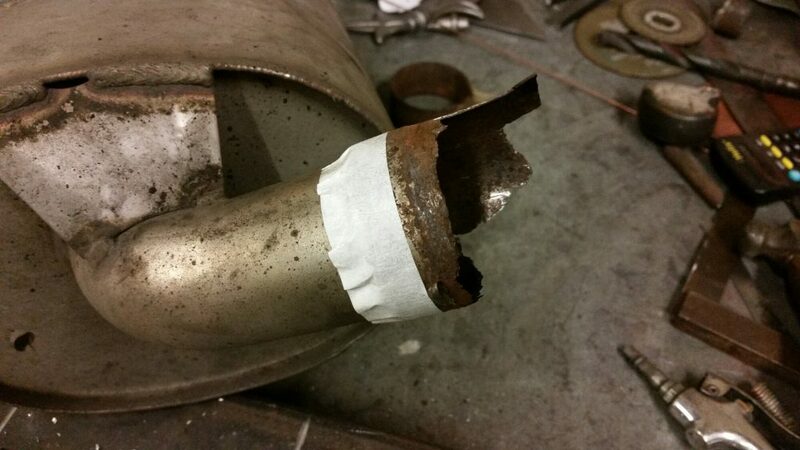 A small repair was required on this Alfa Romeo exhaust as a new replacement wasn’t available. 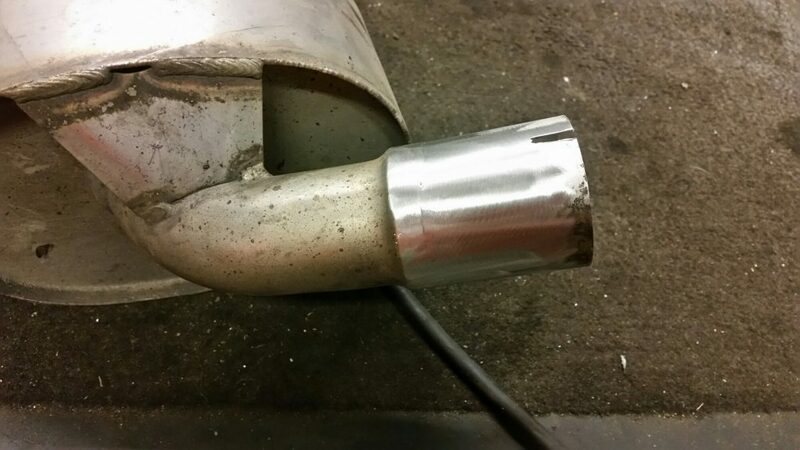 So AGS were able to fabricate a new stainless steel sleeve and weld it into place, repairing the exhaust box.